Reprinted with permission from As I See It. AISI is sent free to all who request it by writing to the editor at dkutilek@juno.com. Read Part 1. Beginning in 1977, I have been more or less continually involved in the educating of men in or preparing for the ministry in a variety of Bible colleges, seminaries, and Bible institutes, besides seeking to educate myself as well, and have concluded that certain areas of study will yield the greatest benefits, if diligently pursued, to those seeking to become well-prepared and useful Bible scholars. What specific areas of study would I recommend for a budding young scholar-in-training who wishes to maximize his usefulness in the service of God? Of course, a general Bible course in college and seminary or graduate school is presumed, but specifically in such a course, I strongly urge, even insist, that for a scholar-in-training, there is no substitute or alternative to knowing and knowing competently well both Greek and Hebrew, as well as Aramaic, the three Biblical languages. There is no getting around it: the Bible was originally written in these three ancient languages, and if we are to be truly masters of this book (as far as that is humanly possible)—”homo unius libri” [“a man of one book”] as John Wesley famously declared1 he wanted to be—then we simply must study these languages extensively. And that may—in fact, definitely will—require the foregoing of other study and activity to a not inconsiderable extent. Historian and biographer Douglas Southall Freeman wisely affirmed, “In deciding what you’re going to do, your first decision must be what you’re not going to do. To do, you must leave undone.”2 Priorities, priorities. (If I may make a “sidebar” observation: it certainly seemed from what I could observe at the time that the development of the Master of Ministry (Mmin) and Doctor of Ministry (Dmin) degrees in the latter part of the 20th century, in lieu of or along side of the traditional MDiv and ThD/PhD degrees, besides aiming to prop up declining seminary enrollments—and income—as the baby-boom surge ebbed, was at least in part to accommodate those who wanted master’s and doctor’s degrees without the trouble and labor of learning Greek and Hebrew, and the obligatory two modern languages standard to ThD/PhD programs. Whatever the value of these programs in other respects, in this they serve de facto as a means of denying oneself the acquisition of the most valuable of Biblical study tools, the capacity to read the original text. And developments in MDiv curricula over recent decades are similarly blameworthy for a general and substantial lowering of language requirements for that degree at various institutions). In my experience, it usually takes at least three good years of study of a language before one can with confidence make an independent judgment on the meaning of a particular grammatical construction. I remember the first time I felt comfortable dissenting from A. T. Robertson on the interpretation of the grammar of a particular NT passage. I had had a year of beginning Greek (10 hours), a semester of intermediate Greek, exegesis of Philippians, and a year of classical Greek. Before completing these, I could have noted various grammarians’ opinions, but could not have honestly formed an independent one myself. Indeed, a balanced approach to NT Greek should include beginning Greek (completing the first year grammar book—a thing most courses don’t do), intermediate Greek grammar (Wallace, Dana-Mantey and similar works), some NT exegesis courses (from several different authors and genres), but also at least one course reading the Septuagint, one course reading the Apostolic fathers, and a year or two of classical Greek. These will give a breadth and depth of knowledge that will spare the interpreter from tunnel-visioned abuse of the NT text. As for Hebrew, besides beginning and intermediate Biblical Hebrew courses, plus some exegesis courses (including narrative, poetry and prophecy), a course reading ancient inscriptions, seals and such in Hebrew, Moabite, and Phoenician will give one better perspective on the historic development of the language than anything else (I had such a course early on at Hebrew Union College and still consider it the single most valuable Hebrew course I had there, or anywhere, for that matter). Further, one would do well to study rabbinic Hebrew (as found in the Mishnah and Talmud) as well as the Medieval Hebrew (used by such commentators as Rashi, Kimchi, Ibn Ezra and more). Dabbling a bit in Modern Israeli Hebrew also has real value. Beyond Hebrew, there is Aramaic, and not just the limited corpus of Aramaic in the OT (Daniel, Ezra and Jeremiah). Ancient documents, inscriptions and more, contemporary with the OT period in Old and Imperial Aramaic will shed light not only on the Aramaic of Daniel and Ezra, but also on the Hebrew language. Further, attention to Qumranian Aramaic, Rabbinic Aramaic (used in the Targums, Talmuds and other related literature), plus the related dialect of Syriac are invaluable. Completing this level of linguistic training is a real labor of several years’ duration, of course, but it has the recompense of enabling the student to directly address the meaning and content of the Biblical text as originally written, and to learn and discover things that he will not find in any commentary, topical study, or learned journal article. There is a considerable level of satisfaction in knowing that one can, with effort and the necessary study tools (grammars, lexicons, etc.) derive from the text everything that an A.T. Robertson or J. B. Lightfoot or K. F. Keil could, and in some cases advance beyond them because of modern discoveries. I cannot see any way for one intending to be a competent and qualified Fundamentalist scholar to avoid learning the languages—and why would he want to pass them by? For the Old Testament, several areas of focused studies strike me as of eminent value. First, there is my own favored field, that of OT texts and versions. A strong acquaintance with the ancient Greek, Aramaic, Syria and Latin versions of the OT is front and center in such matters as textual criticism, the canon, ancient exegesis and the history of interpretation. I personally think that a knowledge of these versions is of considerably more value than a similar knowledge of the flood of “secondary literature” that is being published today. I commonly find that careful examination of the Hebrew text, plus the ancient versions—the Septuagint, the Vulgate, the Peshitta and the Targum(s)—often leaves precious little more to discover about the passage in commentaries, topical studies and journal articles. We need men devoting themselves to this important area of study. And there is comparative Semitics. Because of the relatively limited extent of OT Hebrew texts plus contemporary extra-Biblical texts (compared, say, with total extant literature in ancient Greek), attention to languages cognate to Hebrew is quite useful in casting light on the language of the OT. Besides the Phoenician and Moabite texts already noted (these and Hebrew are in essence merely variant dialects of “Canaanite”), plus Aramaic, there is Ugaritic, a second millennium BC language and literature that has cast much light on the OT, both linguistically and literarily. Further afield, there is Akkadian, and more remote still are Arabic and Ethiopic. I have found Akkadian (of which I had but one year) of limited use in my particular focus in OT studies, though it would be essential for the specialist in Semitic languages as well as Ancient Near Eastern civilization (another valuable area of focus, for illuminating both the history and the culture of the OT); Arabic and Ethiopic, being considerably more remote in time and place are of comparatively limited direct use, generally speaking. Naturally enough, if one were specializing in Egyptian studies (as K. A. Kitchen has) or Hittite studies, those non-Semitic languages would have to be learned as well. And I would be remiss if I did not also suggest biblical archaeology as another field of specialization that needs the attention of devout scholars. Other disciplines, such as OT theology, have linguistic studies as their absolutely essential foundation. I would also highly recommend three specialized areas of focus that I think are of the utmost value for NT studies, and the individual seeking to become a competent scholar in NT studies would do well to give special attention to at least one of these areas and seek to become thoroughly versed in it (and to not entirely neglect the other two). First, there is the very obvious area of Greek and Roman antiquities. The events of the NT occur in a largely Greek culture under Roman political control, meaning a thorough acquaintance with Greek and Roman antiquities—their language, history, culture, political and intellectual systems can only enhance one’s understanding of the NT. It is notable that eminent NT scholars of the 20th century William Mitchell Ramsay and F. F. Bruce, were first classical scholars by training and profession before they focused their attention on the NT. Indeed, part of the intellectual equipment of most of the pre-eminent Bible scholars of the 16th to 19th centuries was extensive training in classical antiquity. That this is no longer the case is to our considerable collective loss. Had I the opportunity—and sense—to “do all over again” my education beyond high school, I would start with a BA in classical studies (with a couple years of German thrown in for good measure). 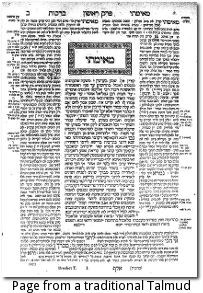 A second area of specialization that has high value to the intended scholar of the NT (and of the Old, too) is ancient Jewish and Rabbinic literature. This massive body of literature—the Apocrypha and Pseudepigrapha, the Qumran literature, Philo, Josephus plus the Mishah, Tosefta, Targums, Talmuds, Midrashim and even the medieval commentators—casts a flood of light on both testaments, their terminology, culture and interpretation. John Gill, no mean scholar, declared of the Mishnah (codified Pharisee-ism, compiled around AD 200), that “no one book in the world, excepting the Holy Scriptures, has been of that use and service to me as this has been,” (see the preface to his commentary on the NT). And yet most conservative seminary graduates today have never read any of it or perhaps even seen a copy. Nearly the whole of the OT and all but two books of the NT were written by Jews by birth and culture, and, need I say, these authors did not live or write in a vacuum, but inherited a culture and religious heritage that affected their thinking, language, perspective and understanding. Studying this literature can facilitate our understanding of Scripture in a thousand ways. Some Christian writers have been wise enough to make extensive use of this literature: John Lightfoot of the Westminster Assembly, J. J. Wettstein and the aforementioned John Gill in the 18th century, Adam Clarke and later Alfred Edersheim in the 19th century, and Herman Strack and Paul Billerbeck in the first part of the 20th century. Had I my graduate studies to do over again, I would give considerably more attention to Rabbinic studies than I did. Third, another focus of immense value to the Biblical scholar-in-development is early church history, say from the late 1st through early 4th centuries. Yes, later church history has its interest, too, but the first couple of post-Apostolic centuries—“primitive” pre-Constantine Christianity—when the martyrs, apologists, and theologians were defending and systematizing and synthesizing orthodox theology, and discerning the limits of the canon, all the while propagating Christianity in a dark and pagan world is of utmost interest. Every time I have delved into this literature and period, I have wished for more, and regret that I have given it too little time and attention. I could wish for a year of doing nothing else so that I could devote my whole study to this period and literature. I would recommend, then, to any NT scholar in training to give close and extended attention to one of these areas—classical studies, Jewish and rabbinic literature, or the earliest Christian centuries—and not neglect the other two. I wish someone had counseled me 40 years ago to do so. And let me add a word about modern languages. Typically, PhD programs for either Testament commonly require German (usually) and French (often) as the requisite modern languages. The former I use almost exclusively in examining Luther’s Bible version; most of the worthwhile German literature (and much of German theological writing is theologically and philosophically tainted, often extremely so) gets translated in pretty short order. French would be of more use in the area of archaeology (Italian would be come in second in this regard); I occasionally use it consulting Calvin’s writings, and in the examination of French Bible versions. Spanish would be a desideratum if one were studying the Targumim, since a considerable amount of literature on that topic in recent years is in Spanish. Modern Israeli Hebrew is the language employed in a substantial amount of literature on the Hebrew Bible and Holy land archaeology. (One continuing frustration: It seems to me that no matter how many languages you “know” [whatever that means! Some today speak of “controlling” French or Akkadian or Latin—which I take to mean they have a working knowledge of it and can use it for research purposes], you could always make good use of just one or two—or three—more!). It is far better to plan ahead and gain competence (two years or more each) in a couple of foreign tongues during undergraduate studies (a thing I didn’t have enough sense, or counsel, to do), than to try and find time to cram them into a PhD program. One abiding danger in any study program toward a PhD or similar degree in Biblical studies, or for that matter in self-directed private study, is too great a pre-occupation with secondary literature, of which the published torrent grows apace with the passage of each hour. Yes, familiarity with the major secondary literature of Biblical studies is necessary, but I see too often those who substitute a knowledge of the secondary literature for a direct, first-hand, close familiarity with the Bible itself. Far too many have wandered off into tangents, and sometimes into heresy, by too great an attention to the literature about the Bible, while comparatively ignoring the Bible itself. And then there is the neglect of older literature in favor of the new. Yes, there are new discoveries and new perspectives that merit attention, but there is a huge mass of still worthwhile literature from the past 5 centuries that modern scholarship has not superseded, or has done so only in part. In closing, let me encourage the man who is considering devoting his life and energies to thorough Biblical scholarship, or who has already begun to do so, to press on with his chosen, sometimes under-appreciated, labors, not for human praise or for money, but because the work must be done, and cries out to be done well. Nevertheless, the Fundamentalist scholar knows that his work is necessary to the work of God. While its monetary compensations are commonly small, or even non-existent, and notoriety and fame are regularly absent among the results of his toil, even so, it brings a large measure of contentment and satisfaction to the one who pursues it wholeheartedly, so that he may make a wider impact for good, for the Lord’s sake. 1 The Works of John Wesley, 3rd edition. Peabody, Mass. : Hendrickson, 1991 reprint of 1872, Wesleyan Methodist Book Room, London, edition; vol. 5, “preface,” p. 3. 2 Quoted in Douglas Southall Freeman by David E. Johnson. Pelican Publications, 2002, p. 206. 3 Studies in the Book of Daniel. Baker Book House, 1972 reprint of 1917 edition Vol.I, pp. 84-5. 4 Quoted in Bernard Ramm, Protestant Biblical Interpretation. Grand Rapids: Baker, 1970, pp. 54-55. 5 Gibbon by James Coter Morison. London: Macmillan and Co., 1895; p. 59. Thank you for your insight, passion, and exaltation of God's word. Because His word is so exalted, it calls forth the very best from we, His dust, to honor it rightly. Many (most) pastors are too busy with the work of pastoring (and in the case of bivocational pastors, earning a living!) to delve so deeply. I would imagine that a lot of seminary and Bible college students are out there getting practical experience in ministry that will aid their immediate futures after graduation. So, this is a lot harder to pursue in theory than in practice I would suppose.